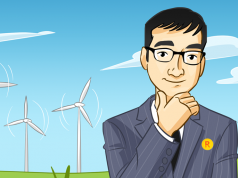 Hello Remo, can you give us a brief introduction of yourself and let us know what you do in TrIP4web? I am Remo Bonfante, I am 41 and I work as systems engineer. I work in computer science for 20 years and for 3 years in crypto world. I am the founder of TrIP4web and my responsibilities are server’s maintenance and team coordinator. Please give us an introduction of TrIP4web, what is it trying to accomplish? 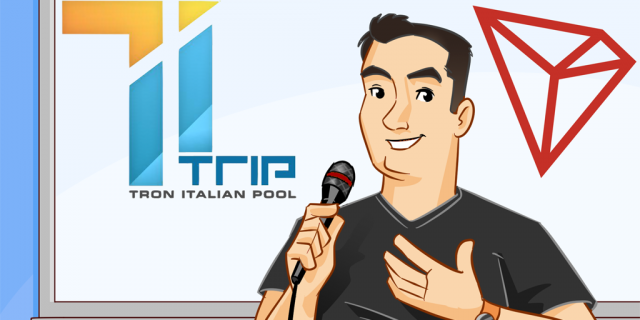 TrIP4web is a small Italian team that decided to provide all the experience acquired during the past years with other DPOS to TRON and its environment. Each one of the member has different experience and competences in DPOS projects. We are also relying on external members for the part of marketing and translating. TrIPweb aims to give the best solution to the community providing a solid and secure Node, developing useful and efficient tools to the community (users and devs, of course), developing new services (OpenAPI node, Testnet machine,). Last but not least, we are looking into the possibility of developing our own DAPP. How’s Italian’s view on Blockchain, cryptocurrency in general? Blockchain’s world in Italy is really diversified. 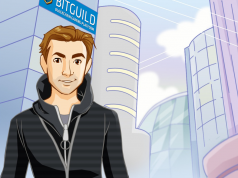 Besides the investors that are looking for easy money thanks to BTC hypes, there are many devs internationally recognized, who are also early adopters, involved in divulgating the concept of Blockchain and its environment. Public opinion is skeptical but curious while the Country itself would like to be a pioneer even though it is still difficult to understand all the possibilities Blockchain offers. One example may be that thanks to the new regulations, which are not yet completely clear, many business adopter of Blockchain transfer the locations to Switzerland (which has fully understandable regulations). This does not discourage others to stay and keep developing projects on the Blockchain tech. 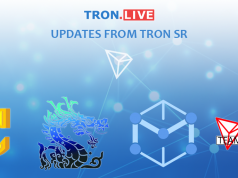 Why have you decided to join TRON SR election? We see the vision and mission of TRON as capable of leaving a mark in the history of crypto world and, the decision of turning into a DPOS was a great match with our previous experiences as Super Representative in other DPOS projects (Lisk, Ark, Shift, Rise, OXY and many others). After evaluating the entire technical aspects offer by TRON and also the great community, we have decided to take part of this great challenge. The greatest one we are facing is competing with the other competitors that are way bigger than us, but this is pushing us to give our best to the entire community. Can you briefly share your rewards distribution plan? We noticed that you are sharing 100% of your reward until you became one of the top 27 SR Some Tronics may be confused by how SR candidates can share rewards when they are not one of the 27 SR Can you briefly explain this? Those outside the Top27 receive what is called “stakes” which comes from a part of the forged from the Top27 and shared amongst the other SR based on their vote powers. We decided to share the 100% of this stake received in order for the community to know us better while we repay back their trust on us with the 100% of sharing. Please share with us some interesting projects that TrIP4web will bring to the TRON community in the near future. What else will you offer to the TRON network that may aid the growth of TRON? We are focus on supporting any questions related to ERC20 migration (on international chats and as well on the Italian’s). As mentioned previously, we also want to promote TRON, via media channels (radio, newspapers, TV) thanks to the network of people, in order to reach business entities and private people and also organizing events and conventions. Please give us a quick summary of why Tronics should support TrIP4web. Four most important elements that distinguish us and that are the true added value of our team. Do let us know if you have anything else you would like to share with the community. Our little team is putting all of itself into this adventure and personally I feel like thanking those around me for the work that allows us to compete with other realities. I am confident that our commitment and our expertise will be rewarded and our contribution to the community and the TRON ecosystem will be appreciated for a long time.